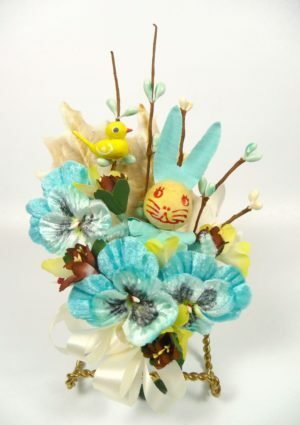 Vintage Easter Corsages Now in the Shop! Time is going by especially fast this year! I do believe the crazy winter weather we had this year has taken its toll on me! While snowbound, I have managed to put together some sweet springtime corsages. St. Patrick’s Day will soon be here, and I have one or two “lucky” corsages left. Easter is just around the corner and the bunny and chick corsages are in the shop now. Stop by soon and pick out one to match your bonnet this year! If you don’t see the perfect corsage for you, convo me through Etsy’s message service and let me know what you are looking for. I still have time to do a few more custom corsages that will arrive in time for the holiday. 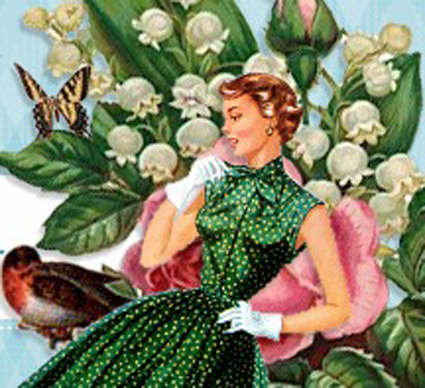 If you are making your own Easter crafts, don’t forget to stop by my other Etsy shop, APinkSwan… I have HUNDREDS of vintage and contemporary flowers for hats, fascinators, and all sorts of craft projects. I just listed lots of additional vintage flowers, and there are plenty of items suitable for the bridal party and the upcoming wedding season. I hope all my wonderful customers are enjoying warming weather and planning happy Spring celebrations!